Custom programming for custom tea blends. The client came to Techno Goober requesting a wellness questionnaire that would recommend and add a custom blended tea to the customer's cart on this unique e-commerce website. Techno Goober was able to use custom programming to develop the client's custom wellness questionnaire and a secure checkout portal. 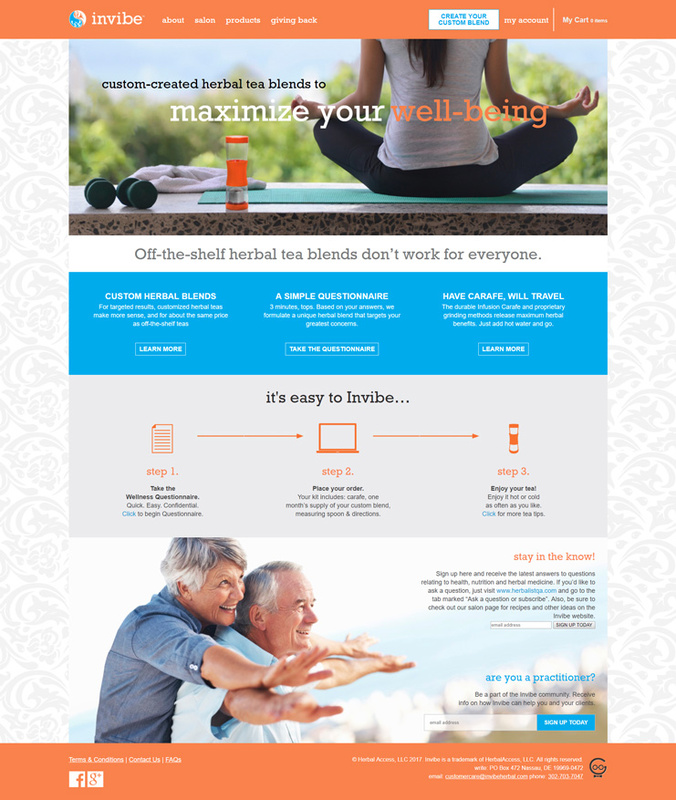 We also developed a client account option to save their custom tea blends and information.